Insurance, long walks on the beach and a perfectly make cup of tea. Any, as long as it's under 15 years old. Hi all, Dom from Eversure again. Just to give you some (hopefully) good news! I'm delighted to confirm that we're now offering a great big 10% discount on static caravan quotes for all Caravan Talk forum members! All you need to do on our caravan page (link below) is click “get a quote”, go through to our purchase form, and when prompted “How did you hear about us?” Find Caravan Talk in the list then enter your code: CT1910 and your discount will be automatically added to your final quote. It’s that easy If you’re still looking for another reason to join us and our GOLD rated FEEFO rating isn’t enough - customers of our caravan insurance can benefit from some of these great features: · Accidental Damage and Theft · New for Old Cover · Contents Cover · Alternative Accommodation · ZERO Admin Fees Click here to get a quote: http://www.eversure.com/caravan/static-caravan-insurance/?utm_source=caravantalk&utm_medium=affiliate&a_aid=CTALK Thanks again, any questions do let me know, I'd be happy to help Dom Eversure Ltd.
Hi all, Dom from Eversure again. 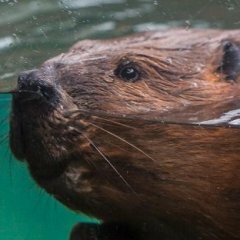 Just to give you some (hopefully) good news! I'm delighted to confirm that we're now offering a great big 10% discount on caravan quotes for all Caravan Talk forum members! 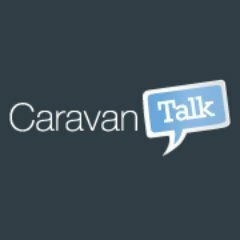 All you need to do on our caravan page (link below) is click “get a quote” then go through to our purchase form, and when prompted “How did you hear about us?” Find Caravan Talk in the list then enter your code: CT1910 and your discount will be automatically added to your final quote. It’s that easy If you’re still looking for another reason to join us and our GOLD rated FEEFO rating isn’t enough - customers of our caravan insurance can benefit from some of these great features: · Accidental Damage and Theft · New for Old Cover · Contents Cover · Alternative Accommodation · ZERO Admin Fees Click here to get a quote: http://www.eversure.com/caravan/touring-caravan-insurance/?utm_source=caravantalk&utm_medium=affiliate&a_aid=CTALK Thanks again, any questions do let me know, I'd be happy to help Dom Eversure Ltd. Post approved by Caravan Talk Admin. Hi AJ! Thanks for welcoming us Ah, the old Hobby conundrum. Unfortunately, it's not good news from us. Our underwriters stand pretty firm on this one. Hobby caravans and similar imports are historically larger than UK models so they've decided this isn’t a make of caravan for them. Sorry for being the bearer of bad news, but hey at least it's a definitive answer Dom Thanks guys!